Ice Creams or Frozen Desserts? Which one would you choose? Oh! You thought both were the same? Well, no! They both are not the same even though they both taste and look almost the same. Frozen desserts are NOT ice creams and vice versa. Let us enlighten you. First, let’s compare the approximate calorie values of both ice creams and frozen desserts. Number of calories are almost the same, and both give similar eating experience. According to the definition of milk and milk products under the Prevention of Food Adulteration Rules, 1955, an ice-cream is a product with not less than 10 per cent of milk fat, whereas frozen dessert contains vegetable fat. For vegans or strict vegetarians (who pretty much know the above difference), frozen desserts are their thing. Keeping aside the price of both frozen desserts and ice creams, which are similar in figures, let us have a look at the health benefits of both. As frozen desserts are purely made of vegetable fats, it has an advantage over ice creams that are made of dairy fats and dairy products. Vegetable fats are not a source of cholesterol. By using palm oil, the dessert gets a smooth and creamy texture and will also become healthier. 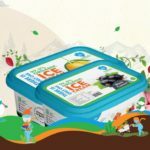 So, for a person who is both health conscious and is willing to take only foods that are made without harming animals, frozen desserts are the best option. After all, it is healthier that ice creams, even though the tastes doesn’t differ much!